Sometimes, you may want to see your iOS screen on your PC. Imagine you captured some interesting videos and photos using your iPhone or iPad, and want to share these media with your family, friends or colleagues, how would you make it? Obviously, mirroring your iOS screen to a bigger screen can be a perfect solution. Rather than having the whole world huddled around a single device, you can project or display your iPhone to PC. In this way, you’re able to share your pictures or videos on a big screen without uploading them. So the next question running on your mind would be “how can I display my phone on the computer?” FonePaw ScreenMo, a phone screen projector, would definitely help! This post will guide you through mirroring iPhone to PC quickly and easily with the FonePaw ScreenMo app. 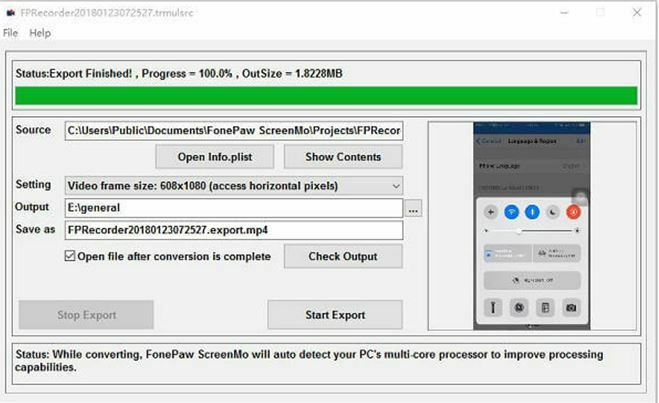 FonePaw ScreenMo is a very powerful and professional tool to help you project your iPhone or iPad to computer. As we all know, Windows PC doesn’t have built-in AirPlay. So the FonePaw Screen will act as an AirPlay receiver to help people capture iOS screen on Windows computer wirelessly. It requires no installation on your phone. Instead, you can quickly download and install this AirPlay receiver on your Windows. To sum up, you can use the FonePaw ScreenMo as long as you want as the app is so open-minded and it works on almost all of the devices or the Windows systems. What can you do with FonePaw ScreenMo to record iOS Screen? Now, let’s see the details what can you do with the FonePaw ScreenMo app. Wirelessly mirroriPhone/iPad to PC without Jailbreak. AirPlay mirroring or screen mirroring makes your iPhone/iPad connected to PC without USB cable. Then, your iOS screen will be displayed in full 1080p high-definition on Windows, which is suitable for presentation, teaching demonstration, etc. Streaming screen to PC lets you enjoy media on the bigger screen and use the media control bar to play/pause the movies. Wirelessly mirror and record multiple iOS devices to Windows. When you connect multiple devices, FonePaw ScreenMo can automatically arrange your screens for a layout that shows all connected devices on your Windows PC. Record iOS Screen with audios. No matter what kinds of screen activities on your iOS devices, like games, live chats, App’s usage, you’re allowed to record them and save as an HD video. Besides, the audio will also be kept in the video, even the voiceover from Microphone. Share Mac Screen on Windows PC. It is quite simple to mirroring iMac, MacBook screen to Windows with the FonePaw Airplay receiver. Android devices will also be supported later in the future. 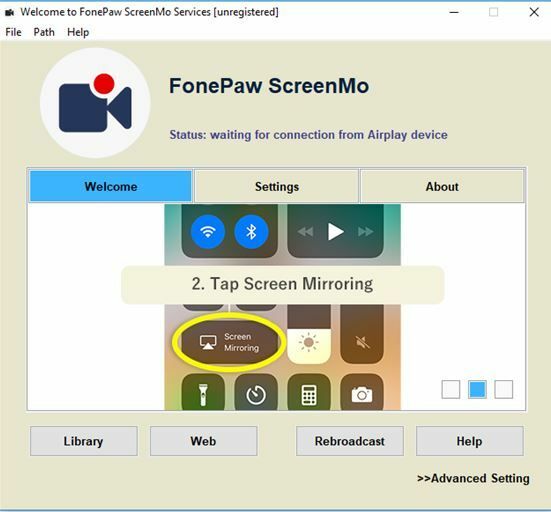 The upcoming FonePaw ScreenMo updates will allow users to mirror and record Android screen to the computer. The FonePaw ScreenMo is quite easy to use. Without any complicated steps, you can quickly capture or record your phone screen to PC. Step 1: Download and follow the instructions to install the FonePaw app on your computer. After installation, open the application. FonePaw provides users with a 7-day free trial. Just click on the “Continue” button and you can start to use the program. Tips: if this FonePaw ScreenMo works well and you want to purchase it after using, you can click on the “Buy Now” button to get a full version without any limitation. After you purchase it, you will receive a registration code via e-mail and you can click on the “EnterKey” button above to register and use the full version. Step 2: Before you can wirelessly connect iOS to PC, you are required to make your computer and device connected to the same Wi-Fi network. That’s very important, or you won’t be able to connect your iOS to the computer successfully. Now, go to your iPhone or iPad and swipe up to reveal Control Center. 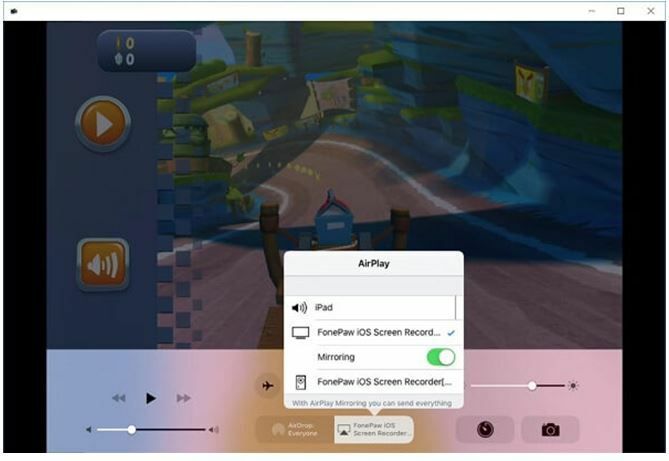 Enable AirPlay mirroring (or the Screen mirroring if you’re running iOS 11). If your device can detect “FonePaw ScreenMo[your computer name], please tap it to get connected. In this way, you can get your iOS connected to Windows. Step 3: Your iPhone/iPad screen will be immediately displayed and mirrored on your PC screen. You’re able to present what you want to the PC. For example, you can start to play your iOS games while viewing the screen on a PC. When playing iPhone video on PC with the mirroring software, you can pause the playing, move the video forward or backward, volume up/volume down directly on PC. Click on the red button on the right and you can begin to record the screen activities. It will show how long you have captured. If you tend to stop, just tap on the same button as it begins. Step 4. After the recording process, you can customize the settings, like the size, the output path, etc. Click “Start Export” and the recorded video would be saved as MP4 on your computer. It works well in most of the cases and no error reported. You can wirelessly connect the device to the computer. No USB cables needed. It’s very easy to use and help to save your time. The FonePaw ScreenMo is not free. But the price is quite reasonable with 7-day free trial and $14.95 to get a lifetime license. No Mac version but only the Windows version. Of course, it’s unnecessary to develop a Mac version of FonePaw ScreenMo if we mirror iOS to Mac (we can make it with the QuickTime easily). But as I mentioned above, the FonePaw app will also work on the Android devices later in the future. So if someone who wants to display Android smartphone or tablet on a Mac, a Mac version of the FonePaw app is in need. So maybe it’s kind of a disadvantage for not having a Mac version. As you can see the details above, the FonePaw ScreenMo is a good choice to mirror and record iOS screen to the computer. 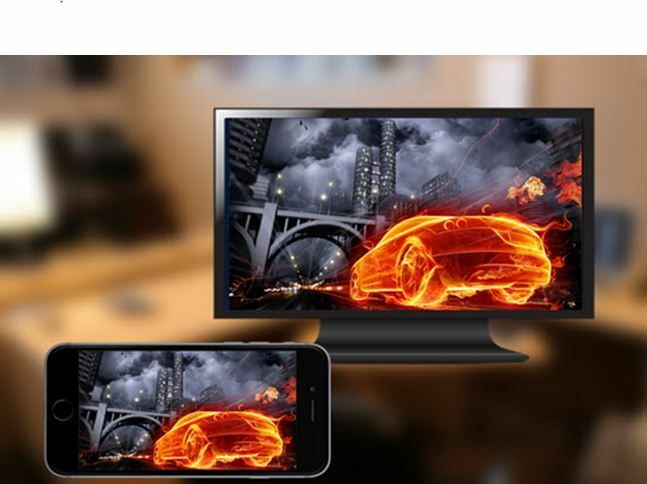 It will airplay iPhone/iPad to PC wirelessly in high picture quality (1080 x 1920 full HD) without lag, and supports screen mirroring for multiple iOS devices simultaneously and allows you to record iPhone screen in one click.